Treating corneal abrasions:Your eye doctor can identify corneal abrasions by examining your eyes with magnifying instruments. Your doctor will check your eye, including under your eyelid, to make sure there are no foreign materials present. Depending on the initial exam, fluorescein dye may be used to help locate and identify the corneal abrasions. A test called the Seidel test (painting the wound with dye and observing for leakage) may be performed to uncover possible deeper injuries. 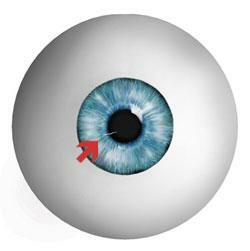 To learn about corneal abrasions you may choose to contact one of our offices to request an appointment. CallBloomfield:860-243-2020 or Windsor:860-688-1549, or click here to send us an appointment request.